Then-Deputy Secretary David Bernhardt speaking at an interagency meeting on January 17, 2018. It’s been a rough couple of months for David Bernhardt. Since his nomination to serve as Interior secretary in early February, the former oil-industry lawyer and lobbyist has been dogged by a growing list of scandals surrounding his tenure at the Department. Bernhardt, who was supposed to clean up the mess left behind by his predecessor and former boss Ryan Zinke, now finds himself in the middle of several controversies, from dubious record-keeping practices to suppressing science to possible ethics violations. Outside magazine, which launched a Bernhardt “scandal tracker” earlier this week, has tallied 17 separate but often interrelated potential transgressions. And the Office of the Inspector General has already launched an investigation into allegations that Bernhardt violated his ethics agreement barring him from directly weighing in on decisions that affect former clients—so many of whom have business before the department that Bernhardt carries around a list of his potential conflicts. Bernhardt, who served at Interior during the George W. Bush years, has a well-established track record as an industry ally and behind-the-scenes policy-maker. As Zinke’s deputy, he was one of the principal architects of the Trump administration’s energy-dominance agenda. On his watch, the department has methodically eliminated or weakened regulations designed to protect the environment and public health, while at the same time aggressively pushing to open up federal lands and offshore waters to oil and gas development. And there’s every reason to believe that this will continue to be Bernhardt’s primary focus. With an intensity of purpose and a deep, unrivaled knowledge of the institution he’s running, Bernhardt will seek to put his stamp on public-lands policy for decades to come. If Zinke used the office for short-term political gain—it was no secret that he saw the post as a stepping-stone to higher office—Bernhardt is playing the long game. “I think the industry and its friend in Bernhardt really sees this as their last big chance to try and lock in a huge amount of federal land before the party’s over,” says Michael Saul, a senior attorney with the Center for Biological Diversity. At the top of the agenda are selling oil and gas leases in Alaska’s remote Arctic National Wildlife Refuge, finalizing a series of long-term controversial management plans that will likely expand oil and gas development in Colorado and New Mexico, opening up the Atlantic coast and Eastern Gulf of Mexico to offshore drilling, and further streamlining the environmental-review process to expedite development. 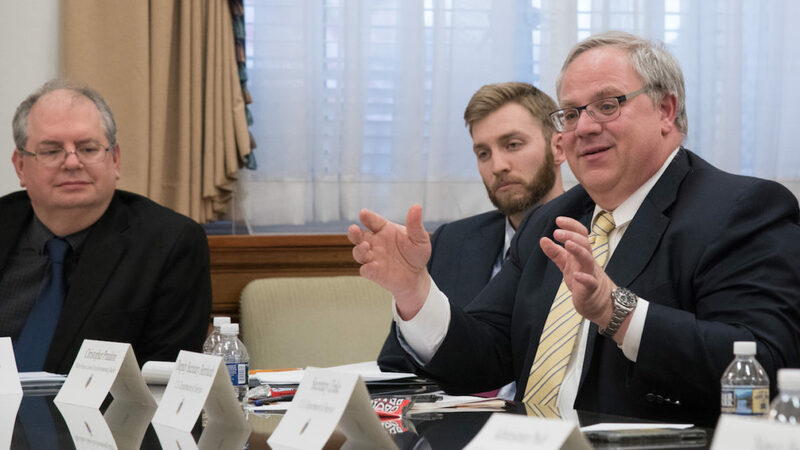 In addition to promoting oil and gas development, Bernhardt—along with a host of other DOI veterans from the Bush years, including Associate Deputy Secretary James Cason—has quietly been rewriting decades old environmental policies. In one of his first moves as deputy secretary, Bernhardt issued a memo that radically restricted the size and scope of environmental reviews carried out under the National Environmental Policy Act (NEPA). These changes were clearly designed to reduce the “regulatory burden” on industry and expedite the permitting process for development on public lands. Another big-ticket item that Bernhardt has been intimately involved in is overhauling the Endangered Species Act. Before returning to DOI in 2017, Bernhardt lobbied on behalf of a major water agency in California that has fought to weaken ESA protections in order to gain access to limited water resources for agricultural purposes. At DOI Bernhardt has reportedly continued to engage on the issue, seeking to rollback protections for the endangered delta smelt, which would benefit his former client. Bernhardt’s apparent failure to recuse himself from these deliberations triggered the recent OIG investigation. Last year, the department issued a series of proposed changes to the ESA, and the department will likely publish its final version soon after Bernhardt is confirmed. Depending on how they’re implemented, the new ESA regulations could undermine protections for dozens of threatened and endangered species. Those classified as “threatened,” for instance, would no longer be automatically granted the same level of protection as species deemed endangered, as they have for the last two decades, according to Jake Li, the director for biodiversity at the Environmental Policy Innovation Center and expert on endangered-species law. Under the new rules, threatened species would be stripped of those protections—which include conservation of critical habitat, restrictions on take and trade, and the implementation of recovery plans—unless the FWS chooses to extend them. The new rules would also weaken critical habitat protections, an effort that was actually initiated under the Obama administration, and make it more difficult to protect threatened and endangered species on non-federal lands. In a state like Texas, with very little public land and a great deal of oil and gas development, this provision could wreak havoc for critically imperiled species. Two days before his confirmation hearing, The New York Times reportedthat as deputy secretary Bernhardt had blocked publication of a Fish and Wildlife Service assessment of the impact of pesticides on dozens of threatened and endangered species. In a sharp exchange, Senator Ron Wyden accused Bernhardt of meddling with the science and of being dishonest about his commitment to upholding the department’s ethical standards. Bernhardt said the story had mischaracterized the series of events that led to his request for a legal review of the document, thus delaying publication until at least 2020, and that career FWS staff supported his decision. In recent days Bernhardt has struggled to explain his own method of record keeping. According to several reports, Bernhardt’s internal daily schedules do not match up with his publicly released calendars, which have been scrubbed of critical information, including meetings with industry officials and former clients. In response to a request from the House Energy and Natural Resources Committee, Interior agreed to turn over tens of thousands of pages of previously undisclosed records related to Bernhardt’s scheduling practices. Given Bernhardt’s reputation as a highly skilled lawyer who knows the department better than anyone, it would be folly to underestimate the scale and scope of what he hopes to achieve during the remaining year and half of Trump’s first term. This makes the department’s effort to clamp down on access to information and Bernhardt’s obfuscation of his own records all the more troubling. Whatever the outcome of the OIG investigation, Bernhardt’s ethics pledge prohibiting him from engaging in the affairs of former clients is only applicable until early August. At that point, it’ll be business as usual. 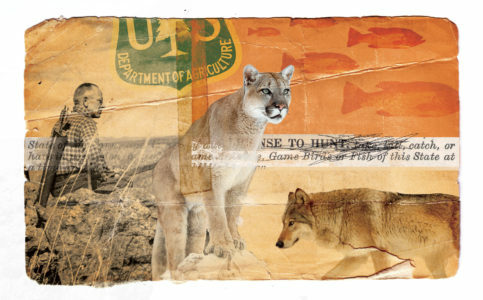 A sustained effort to weaken federal authority over public land could undermine protections for threatened and endangered species.